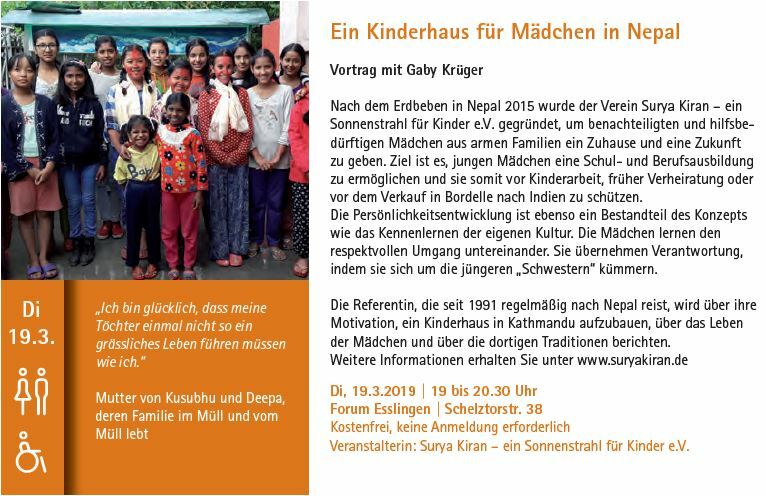 Updates - Surya Kiran - ein Sonnenstrahl für Kinder e.V. We are very happy to welcome our latest family member Marshang! All the other girls are very happy about her little sister. With 5 years she is the youngest and is joining class nursery in the SDB School. Now Marshang can go to school and has a bright future. This is only possible by your member fees and donations - thank you very much for your support! 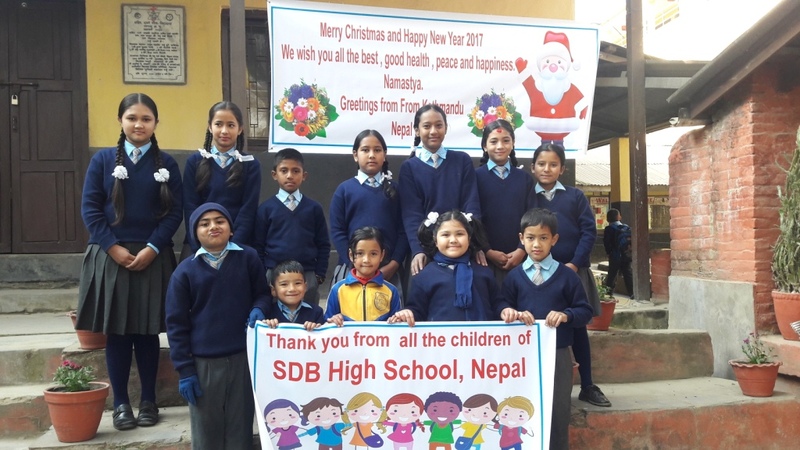 The 18 girls in the hostel and our 19 godchildren in the SDB-School wish all Merry Christmas and a Happy New Year 2019. We thank all our members and all the (unknown) sponsors for your support and your trust in our work! 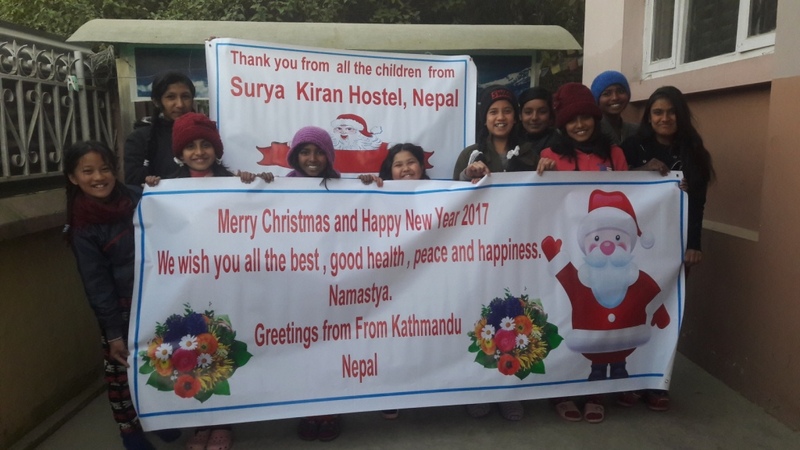 In November 2018 we travelled to Nepal and spent several days in the hostel. 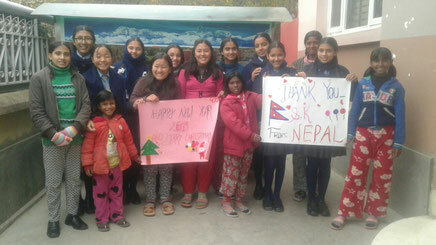 The girls welcomed us heartily. We could see all the positive developments in the hostel and of the girls. We spent a great time together e.g. we invited them for dinner - something very special for them! 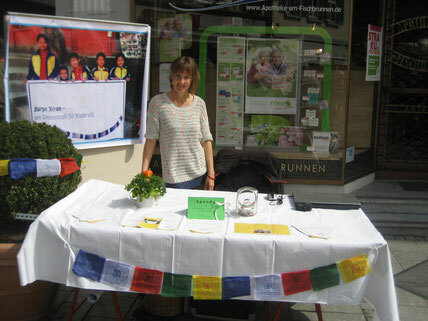 Furthermore we inaugurated the new outdoor toilet, the new room on the top and the new designed washing are. For that the whole house was decorated very nicely and with lots of love by the hostel mother and the lady cook. Also we had many meetings with our partner Anupendra about the future. Our slogan is: "slowly but perfectly!" In this sense we still want to give our girls a loving home, strengthen their personality and enable them to do a good school exam. And we want to expand in the same quality. We got some very emotional requests for accomodation of poor girls what is our motivation to work hard for poor and deprived girls. 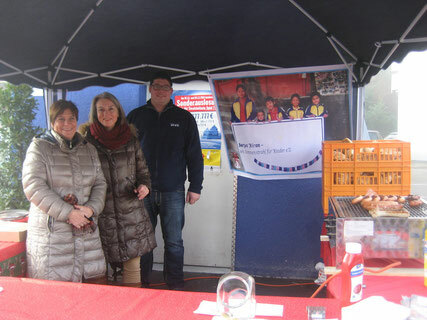 For that we need your support and thank you very much for your donations! 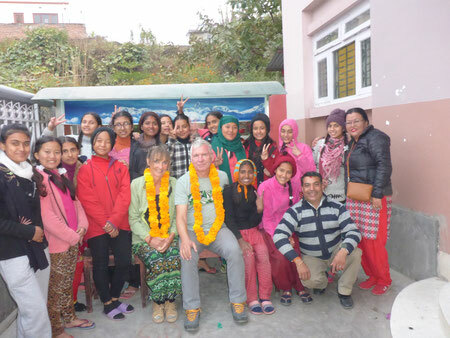 At July 29th, according to the Nepalese calendar at July 30th, we celebrated the second anniversary of the hostel. The girls decorated the house very nicely. When they returned from school they were surprised: homemade donuts and a birthdasy cake! Instead of dhal bat in the evening they had momos. They were dancing, reading poems and all were very happy. For us it is really amazing to see how much we reached in such a short time. 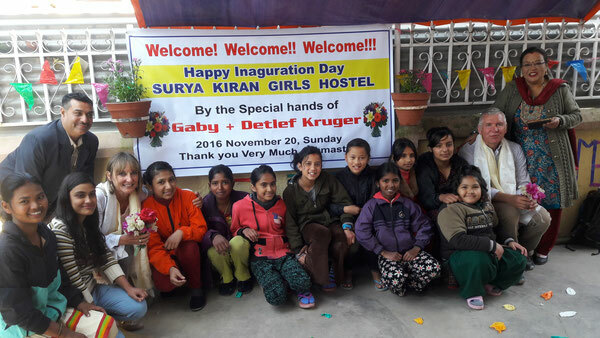 Two years ago the first nine girls moved to the hostel and now we give 18 girls a home. Thank you to all the members and sponsors for their support! 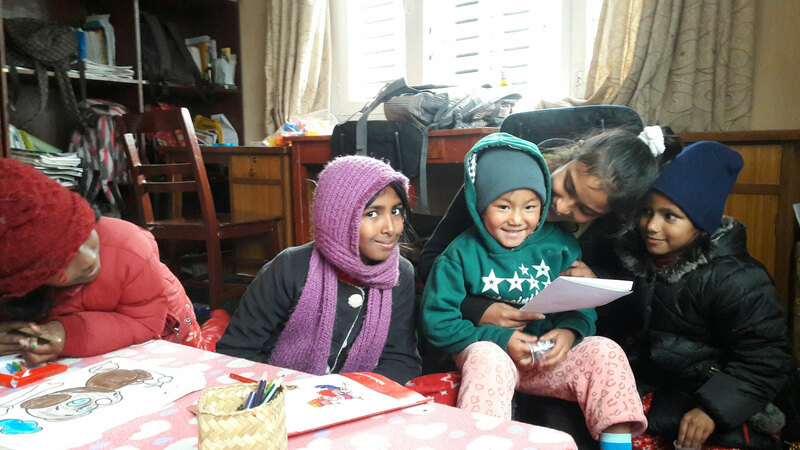 We are very happy to welcome the new family members Pratima, Sony und Rupa in the hostel! 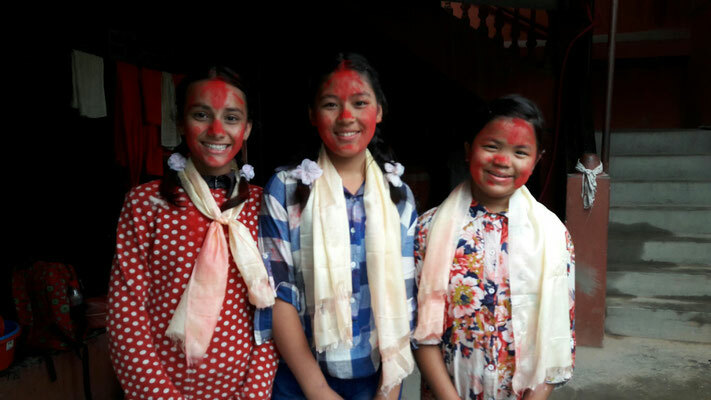 These three girls were previously living in the Asha Hostel. 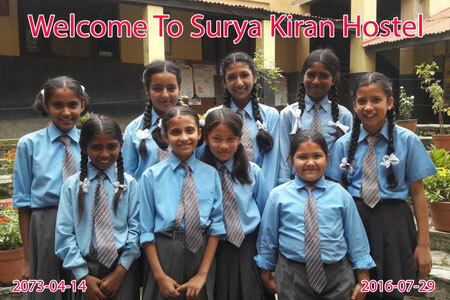 After their change to class 6 in SDB School they are very happy to live, learn and continue their school education in the Surya Kiran Hostel. They got a warm welcome celebration from all. Now we give 18 girls in the age of 6 -15 years a home. 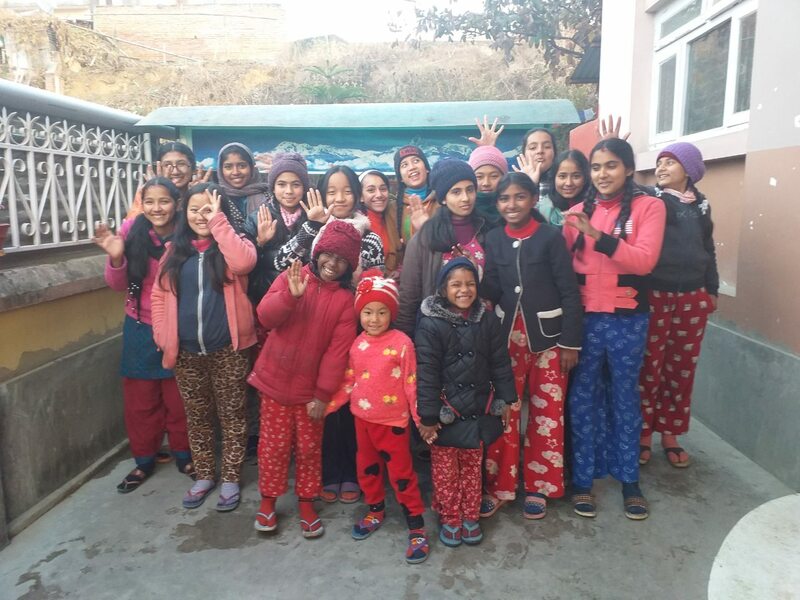 A hostel mother and a lady cook are taking care of them with lots of love. This all is only possible by your member fees and your donations - thank you very much! Since the beginning of this year we rented the land nearby. 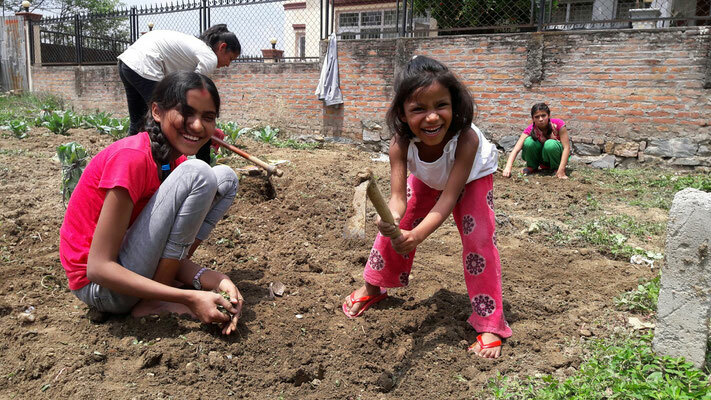 There our girls are planting vegetable for the hostel with lots of enthusiasm. They are very busy - and very proud to harvest their own cauliflower, tomatoes, radish, pumpkin, onions and maize! 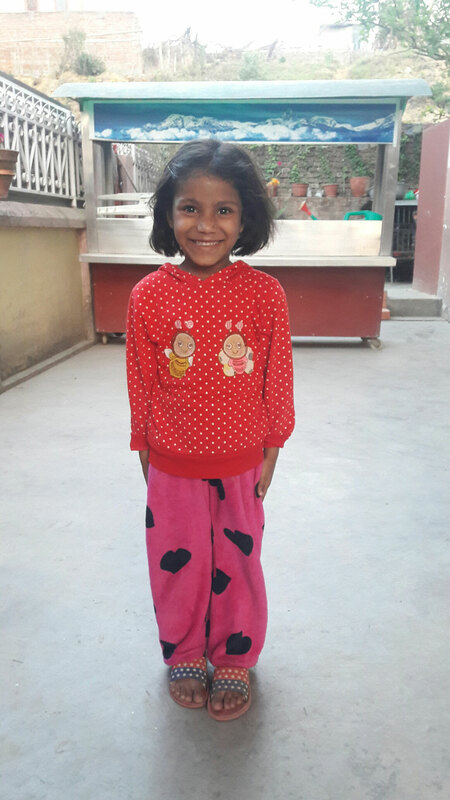 We are very happy to welcome Chadani, the little sister of Kajal who was the youngest girl in the hostel until now. She never joined a kindergarden and is now in level UKG (upper kindergarden) of the SDB school. The parents and especially Chadani are more than happy - and also the other girls are happy about her new little sister. 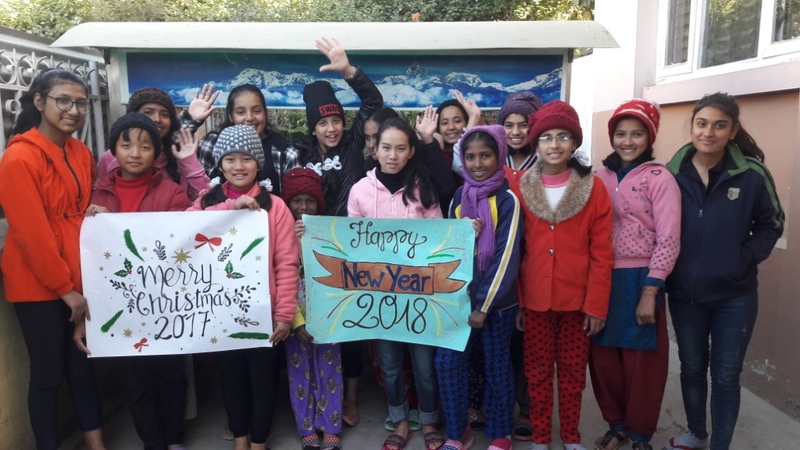 The girls in the hostel and our godchildren in the SDB-School wish all Merry Christmas and a Happy New Year 2018. And we thank all our members and all the (unknown) sponsors for your support and your trust in our work! 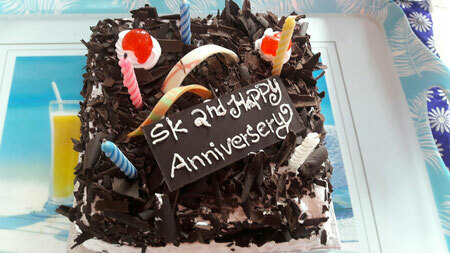 First anniversary of the hostel! 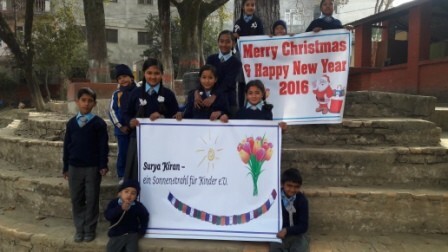 The Club "Surya Kiran - ein Sonnenstrahl für Kinder e.V." was founded nearly two years ago - at Juli 29th, 2016 the first nine girls moved into the hostel. 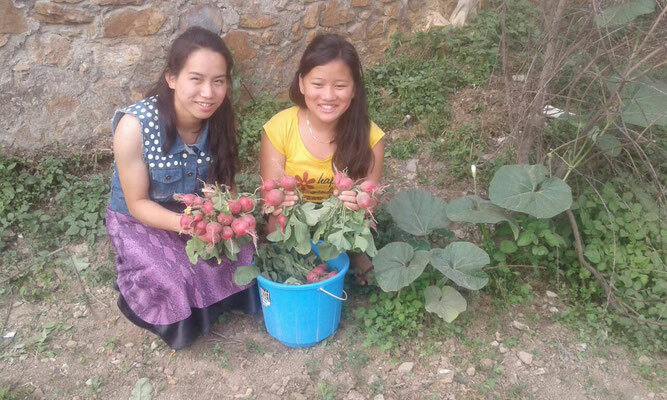 Since then many things happened and in the meantime we already give 14 Girls a home where they can grow and learn. Here they have a childhood without child labor and are safe of early marriage. 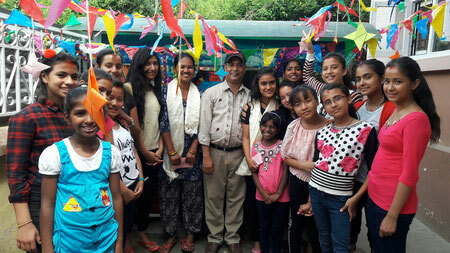 In the hostel this special day was celebrated two days long - with an "anniversary trip" to Swayambunath, a big temple in the Kathmandu valley, and on the other day with a big birthday cake. The hostel was decorated very nicely with ballons and stars inside and outside. To see this brightness, this joy and happiness in the eyes of the girls is our motivation to work furthermore on the quality and the development of the hostel. Also in the name of our Nepalese partner Anupendra Acharya we thank all the (unknown) sponsors from our heart because without your support we never could establish this hostel and achieve already so much! The this year's Theodor-Haecker-Award goes to the Nepalese woman Urmila Chaudhary. She is fighting for the liberation, the rights and the education of slaved girls in Nepal (Kamalari System). Because of poverty young girls are sold to rich families where they have to work hard without any rights. 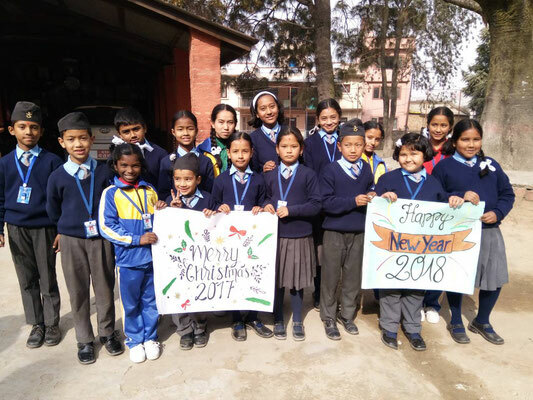 There is no chance for them to go to school. Among child labor, early marriage and child trafficking we also want to protect young girls with our hostel project to be sold as a Kamalari. 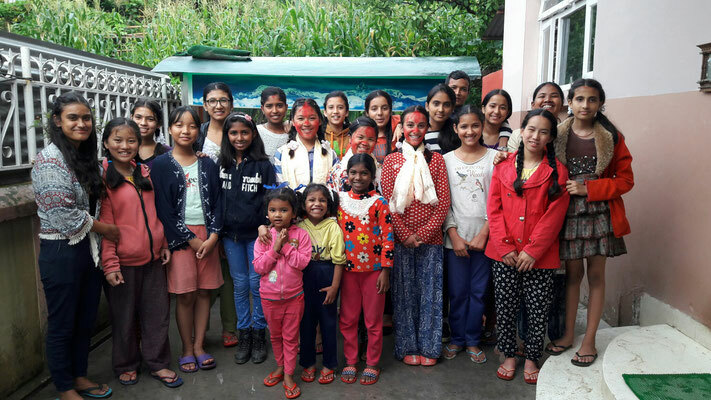 On April, 18 six new girls moved to the hostel - every single girl with her own painful story. 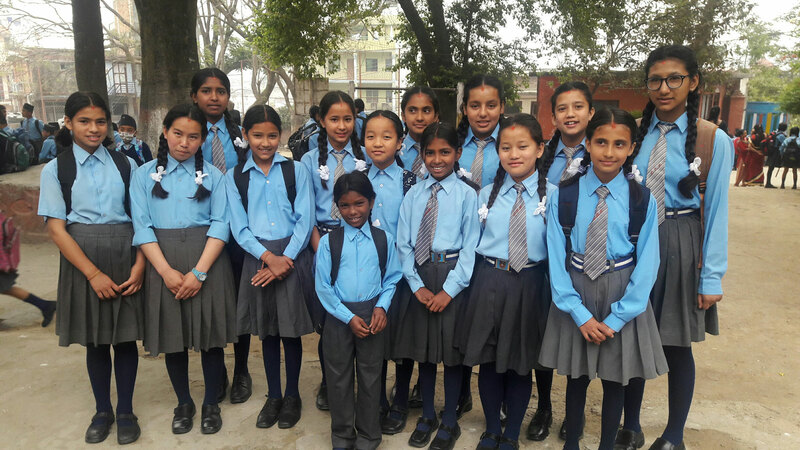 Now we give 14 girls a home where they find shelter and care and where they can learn for school. For every girl it was a great day and very fast they will be a big family. This wonderful success is only possible by the support of our members and all the donations we get. Thank you very much! Our god children of the SDB High School and the girls of the hostels wish Merry Christmas and a Happy New Year 2017. And we say a big thank you to all our members and (unknown) sponsors for their generous support! On November, 20, 2016 we inaugurated the hostel officially. With proud the girls showed us the house, the study room, the dining room, the bath room, of course their own rooms and beds and the roof top. The bright eyes and the joy in their faces showed us how happy the girls are. In the whole house we really could feel a loving and familiar atmosphere! On September 20, 2016, 7 p.m., you can see the movie "Urmila - for freedom". At the end of the movie we will presentate our hostel project and are there for your questions. Time has come! 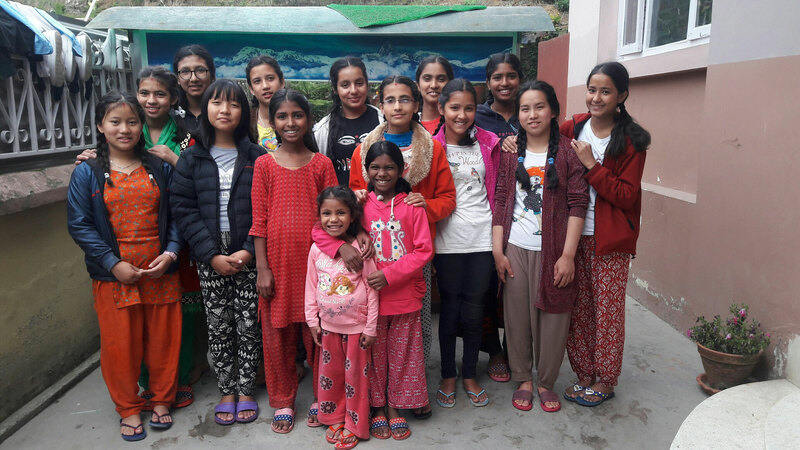 Juli, 29, 2016 the first nine girls moved into the hostel! It was a great day for all of us and we are very happy, especially for our girls. How it is seen in the picture the joy has no boundary! Now these girls have a hopeful future, with enough food, place to learn and play and a with a caring support by a lady cook and a hostelmother. Once again... thank you to all the members and sponsors, also for the mental support! 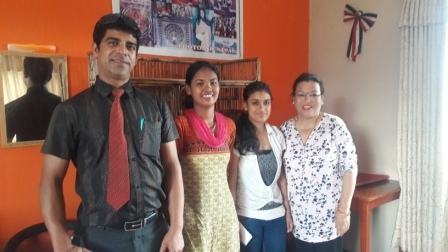 Here is our team: Mr. Sushil who takes care of the girls at the SDB school, Anita, the lady cook, Anita, the hostelmother and Bina Acharya, who works as a supervisor. 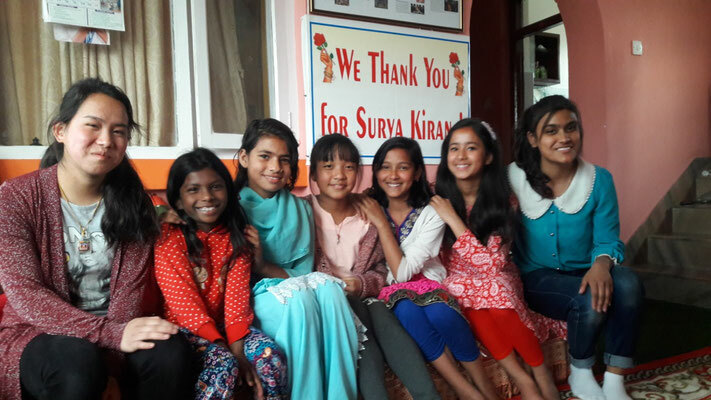 Last but not least: Anupendra Acharya, our appreciated partner in Nepal! As soon as it was known in the SDB School that there will be a hostel for girls our partner Anupendra got many requests from parents and mothers who want to send their daughter into the hostel. It was not easy to select the first nine girls! At the beginning of July they all made a hostel trip to see their new home. The surprise and joy had no boundary! They were welcomed by a special Tika and Katha as a blessing and special welcome for good luck, peace and happiness. Then they visited all the rooms and were very surprised about their new home. Probably they never had so much space and especially an own bed in their life before! And they are looking forward to have time and a study room to learn for the school. After lunch the van brought them back to school. All were "super happy!" Our little plant is growing very fast in a very short time! When we established our Club last year in September our aim was to open the hostel in October 2016. Thanks of many members and donations we are able to open already in July! We are very happy. Thank you to all our members and sponsors! 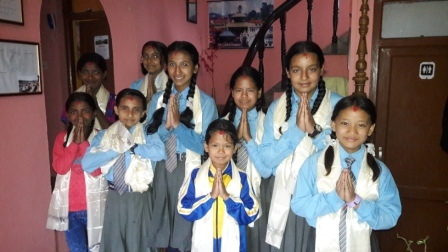 For a safe way to the SDB School we need a school bus / van for our girls. Therefore we are happy about a continuing support. On April 3, 2016 we celebrated in our town a festival called Spring of Esslingen. There we had an information point and we collected donations for the inauguration ceremony, welcome-presents (soft toys) and an excursion with our girls. Santa Claus barbecue of RSKN Commercial Association e.V.